Our downtown merchants are supported by our Sylvester Main Street Program and by their Downtown Development Authority (DDA). The DDA promotes business retention and recruitment, advertising and promotion for merchants. The larger community has traditionally been an agricultural center, growing peanuts, cotton, corn, pecans, and produce. Other industries of the county include manufacturing and retail trade. The largest local employers are the school system and local health services. Other notable employers include Peter® Pan Peanut Butter, Coopercraft Communications, Inc., Southland Technologies, and a recently opened 40,000 square foot Coca-Cola distribution center. If you are interested in bringing your business to downtown Sylvester, contact Jana Dyke. 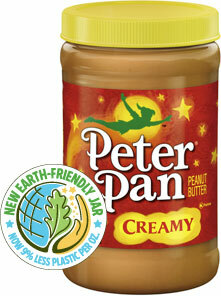 Peter Pan® Peanut Butter has gone green. We've reduced our carbon footprint, which helps foster cleaner air and cleaner water for a better world for us all. We've redesigned our package so it's more Earth-friendly than ever before. Our new jar uses 9 percent to 12 percent less plastic per ounce, which isn't only great for the environment, but for your budget, too. We save money by using less plastic, and pass those savings on to you. And we now have a new 24-hour production schedule, which will reduce peak electrical demand and be easier on the environment. Meet Council Member Melvin Powell Jr.
Sylvester © 2019 All Rights Reserved.